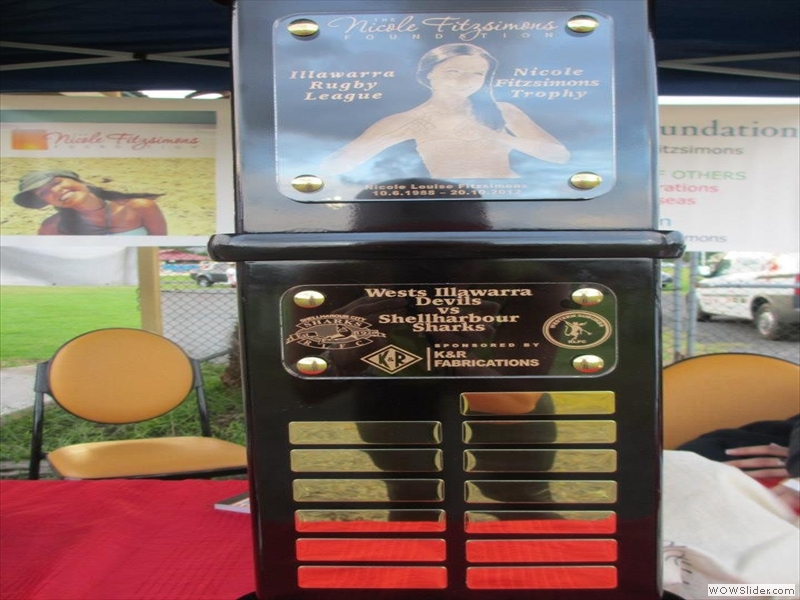 The West Illawarra Devils and Shellharbour Sharks contested the inaugural Nicole Fitzsimons Trophy on Friday, 5th April at Parish Park. Jamie Keith , played for both teams previously which was why this match was selected. 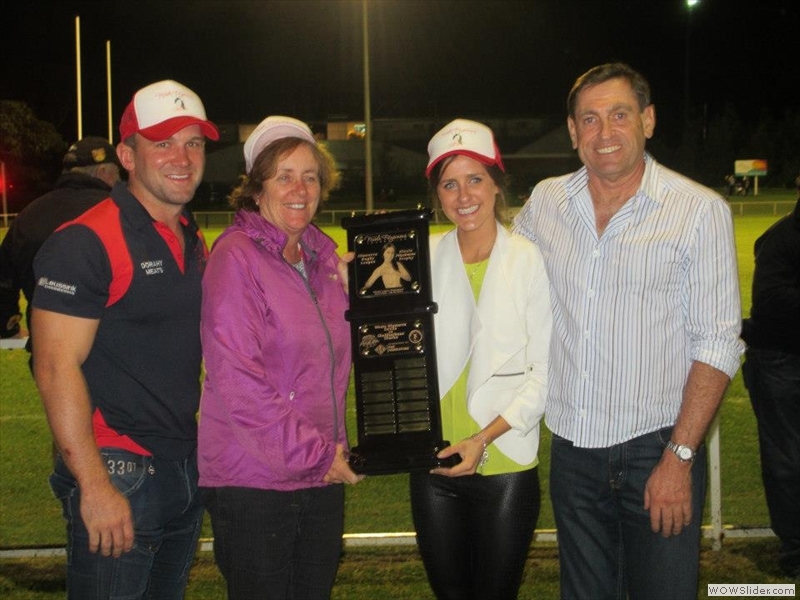 Jamie played for the Wests Devils and managed to score a try. Over a thousand people attended the match,including many of Jamie and Nicole’s friends catching up with the Fitzy family. 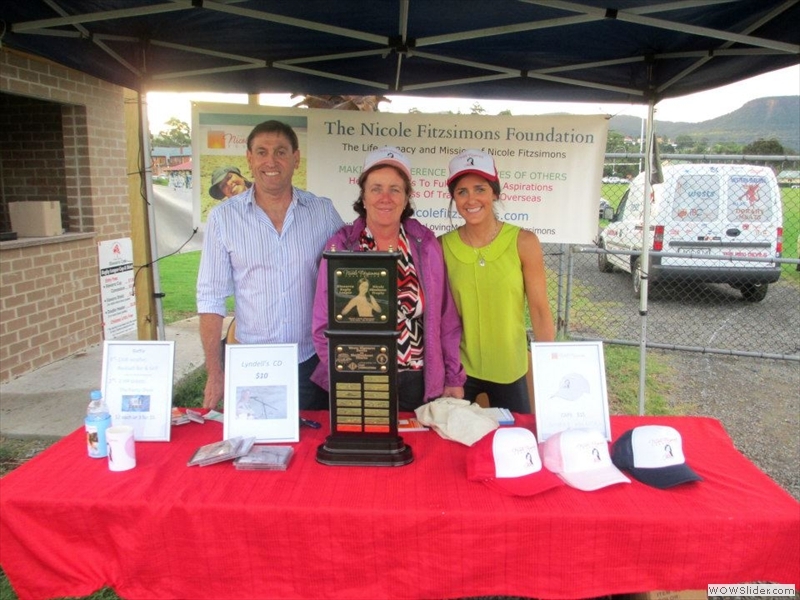 The Foundation sold merchandise and raffle tickets during the night, raising over $1,600. Jamie spoke about the tragedy and the Nicole Fitzsimons Foundation assisting young gifted and talented performing artists and sportspeople as well as travel safety awareness. 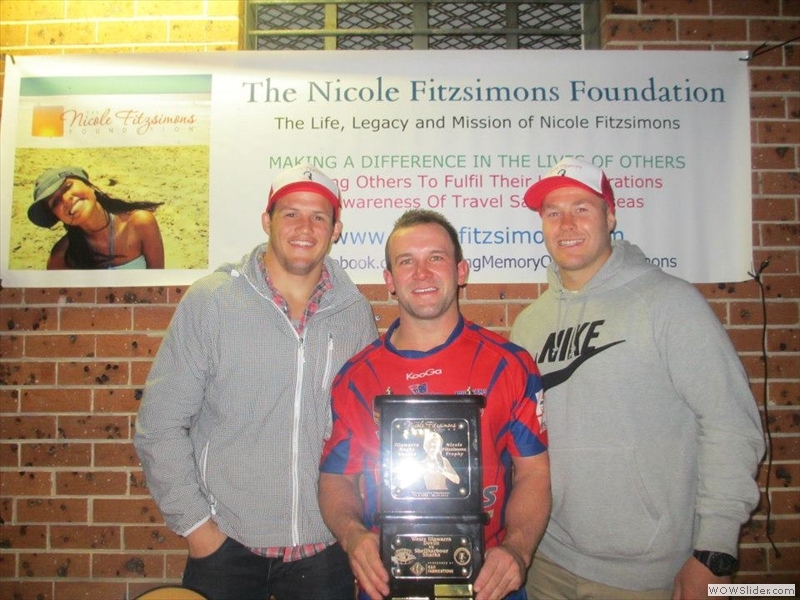 Brett Morris and Trent Merrin drew the raffle prizes. 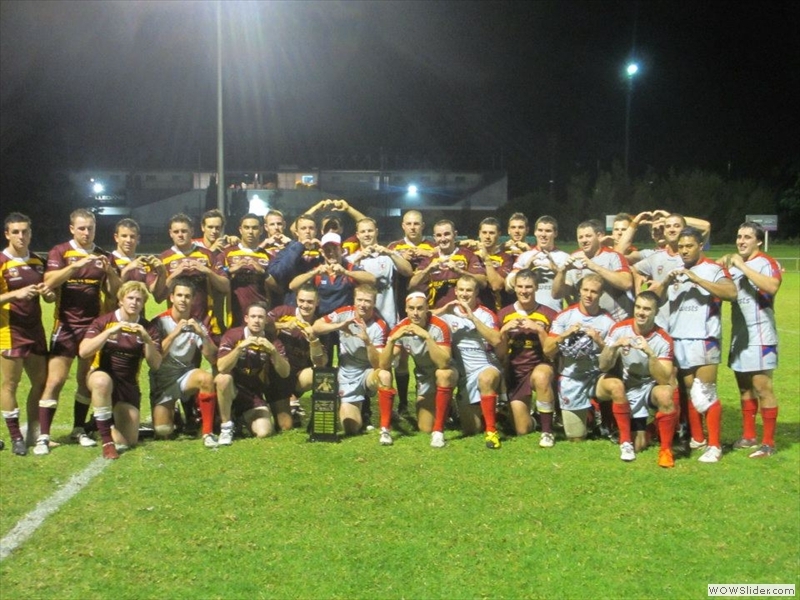 Wests had a successful night winning all three grades: 1st Grade defeated Shellharbour 32-0, Reserve Grade won 36-12 and U 18′s won 30 – 6.